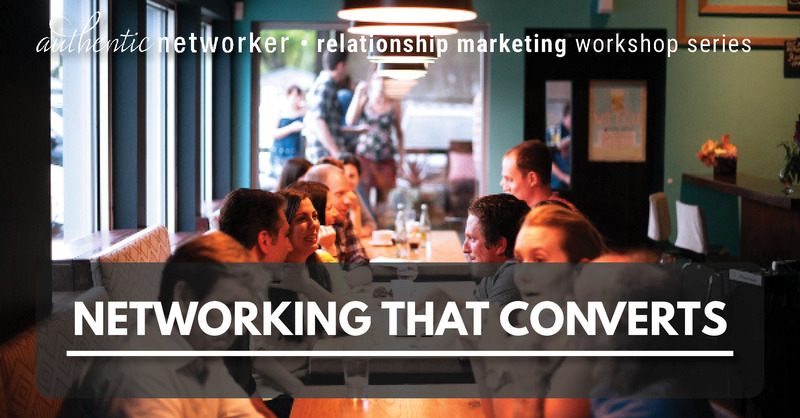 A six-part series of live virtual workshops that helps you build a comprehensive relationship marketing strategy for your business. You’ll get exclusive access to the live workshop and worksheets, and unlimited replays of the recording. 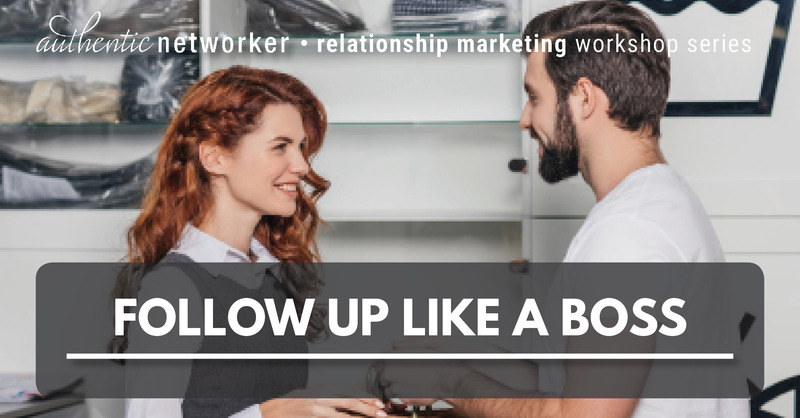 You’ll learn how to create a personalized strategy that gets you a return on your networking activities. You’ll learn the correct mindset, habits, skills, and systems to follow up consistently and professionally. 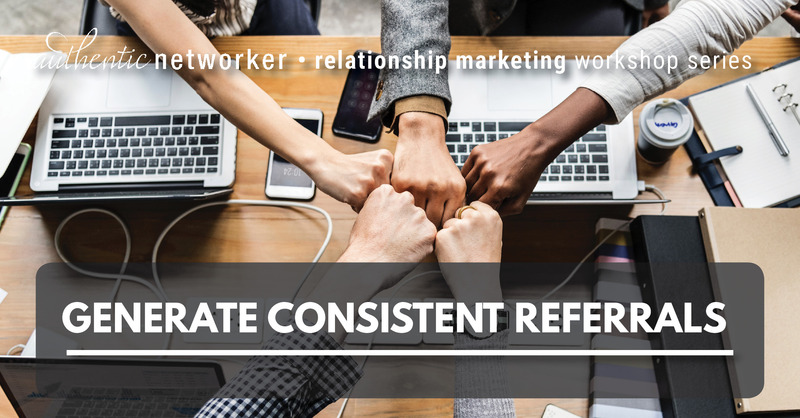 You’ll learn how to create powerful partnerships and build a referral program that generates inbound leads like clockwork. 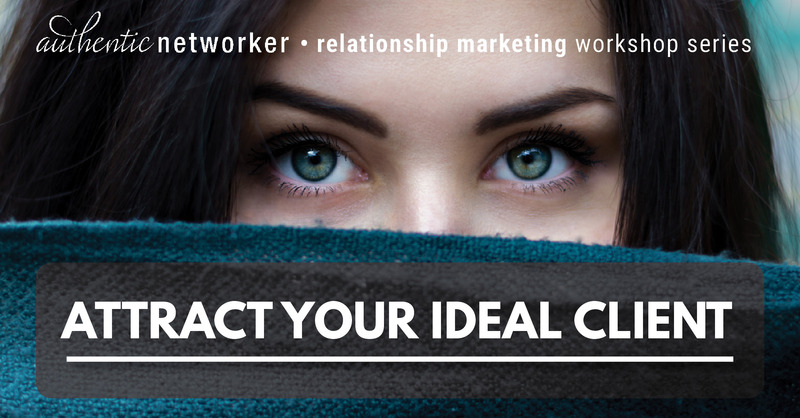 You’ll develop an ideal client profile so you can laser target your audience with a crystal-clear marketing message. 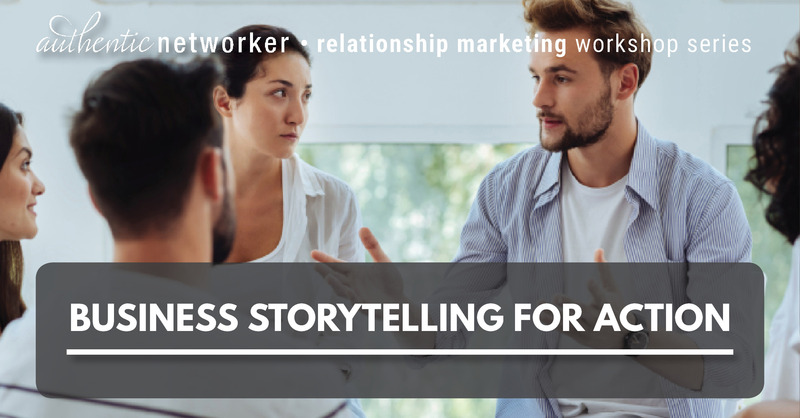 You’ll learn how to strategically use business storytelling to intrigue people and inspire them to take action to work with you. 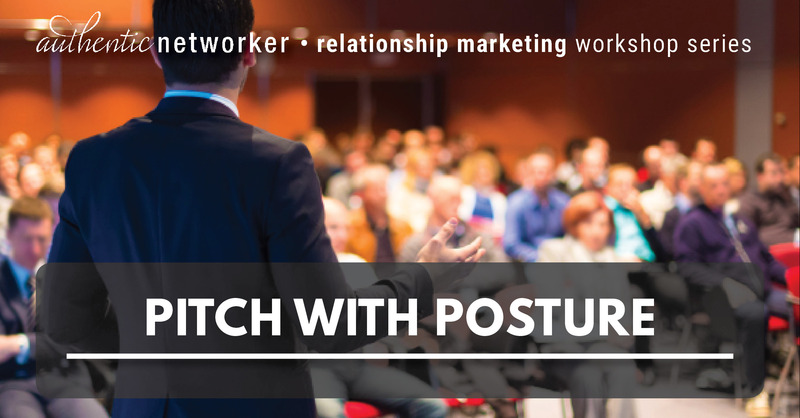 You’ll develop a polished business pitch you can adjust for different audiences and begin using immediately.